Wide-leg pants do all sorts of happy things for my curvacious hips, so I'm always on the hunt for more (you can't own too much of a good thing... right?). I lucked out with this pair by Valentino in that they came from an online consignment shop with tags still dangling from them (they were listed as new too, which is all I buy on eBay anyway). How were they $28 with no takers? Don't care, because they're mine now ;) This is a large, trustworthy seller with excellent history; I highly recommend these guys. I love, love, love these pants on you. But of course you know this from my gushing over the last pair of wide leg pants you wore. Red valentino for $28??????? I relinquish my title as the queen of deals. Handing it over to you. What a find! I really need to shop ebay more carefully, and use the tips you gave us a few months ago. These pants look amazing on you! 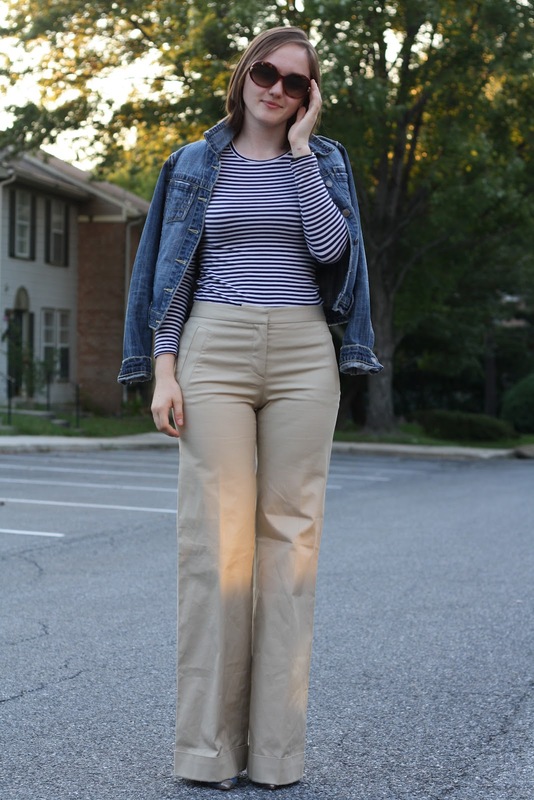 I love the wide legged trousers coming this season! I need to get a pair, these look great on you! so nice post, good look, thanks for sharing.